Guemas International‘s consulting department supports its clients in their needs to identify their risks and manage them. Our organisation offers strategic advice and innovative solutions to our clients, to cover a complete range of insurable and non-insurable risks. G.I. Risk is a software package for risk management handling, created by joining the insurance brokerage and risk management skills and expertise of Guemas International and ARENGI. This software allows you to fully manage your risks internally, by offering your teams the possibility to make full mapping of your risks and thus insure a daily follow-up by observing their evolution thanks to periodical evaluations. G.I. 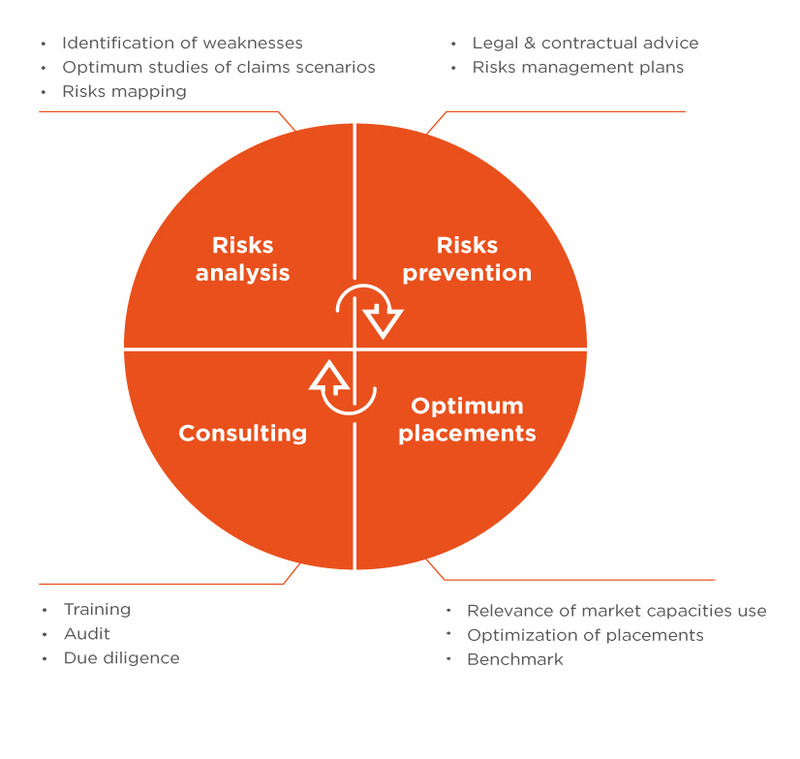 Risk offers a complete and cross-disciplinary database of generic risks, with a control plan for each of them, which allows to reduce the probability of occurrence, and also offers adapted insurance solutions.